California sends strict vaccination bill ending religious and personal exemptions to governor. New California measure would make vaccinations mandatory for more children. Original post, June 29, 2015: The California state Senate on Monday approved a stricter bill that would make vaccinations mandatory for more schoolchildren, clearing the final legislative hurdle for SB277, and sending the bill to Gov. Jerry Brown’s desk. Brown has not stated publically whether he would sign the measure that would end personal or religious exemptions, but would still allow for medical exemptions. The bill passed through the state house with bipartisan support. 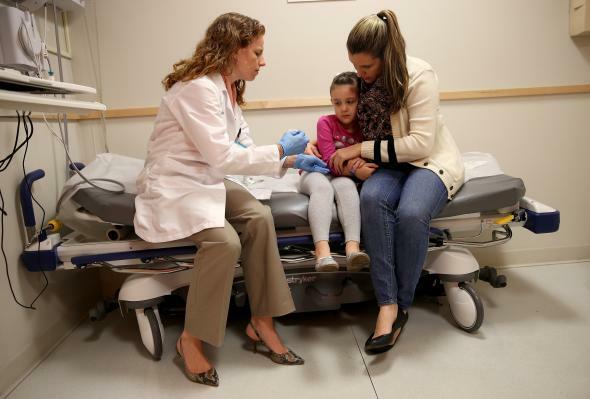 The measure would be one of the strictest in the nation and has been hotly contested in California and beyond, after an outbreak of measles at Disneyland this year sparked a national debate on the risks posed by a growing number of parents choosing not to vaccinate their children. The bill was first passed in May, but the upper house had to approve new amendments aimed at making it easier to get a medical exemption. Most states allow for religious exemptions and 20 allow parents to forego vaccination based on personal beliefs, according to the Wall Street Journal. If the bill is signed into law, California would join Mississippi and West Virginia as the only states to prohibit religious and personal-belief exemptions. Brown has two weeks, until July 13, to sign or veto the measure.